Token exchange at Park Junction (near Newport) on 6 July 2002. 58050 Toton Traction Depot heads the 17:22 Machen Quarry to Westbury stone train. 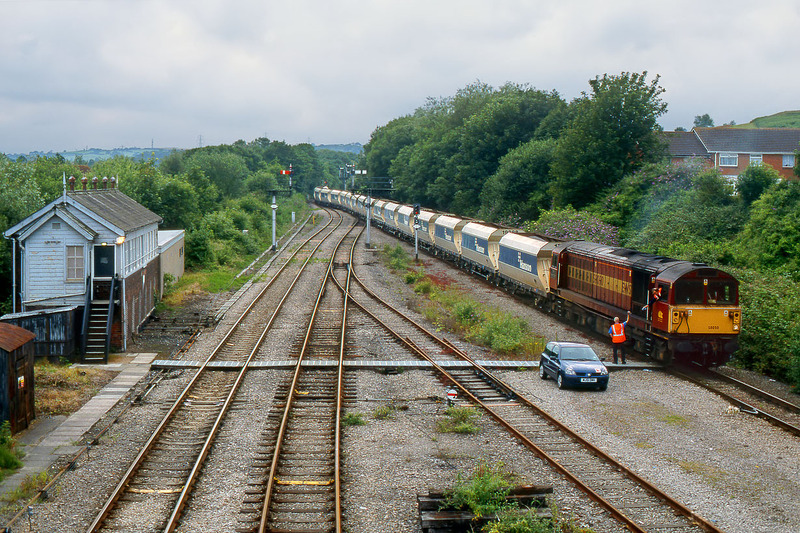 This was the last occasion on which a Class 58 visited Machen Quarry. This picture is also noteworthy, as 58050 had less than a month left in service, being withdrawn at Eastleigh on 5 August 2002.